On 14 July, Chinese Ambassador Liu Xiaoming met with CEO of British Council Sir Ciarán Devane for an exchange of views on China-UK cultural exchanges and China-UK Year of Cultural Exchange. Ambassador Liu congratulated Sir Ciarán Devaneon on becoming CEO of British Council and expressed his appreciation for British Council's efforts in promoting China-UK cooperation in cultural exchanges and other areas. Ambassador Liu emphasized the importance of the year 2015 for China-UK relations. It is both a year of major events and the China-UK Year of Cultural Exchange. President Xi Jinping's upcoming state visit to the UK will open a 'golden time' of China-UK relations. The third meeting of China-UK High-Level People-to-People Dialogue will be held in the UK soon. And events of China-UK Year of Cultural Exchange will all play an important role in this 'golden time'. The Chinese side is ready to make joint efforts with the British Council to ensure the success of both the Dialogue and the events of the Year of Cultural Exchange, thus contributing to the 'golden time'of China-UK relations. 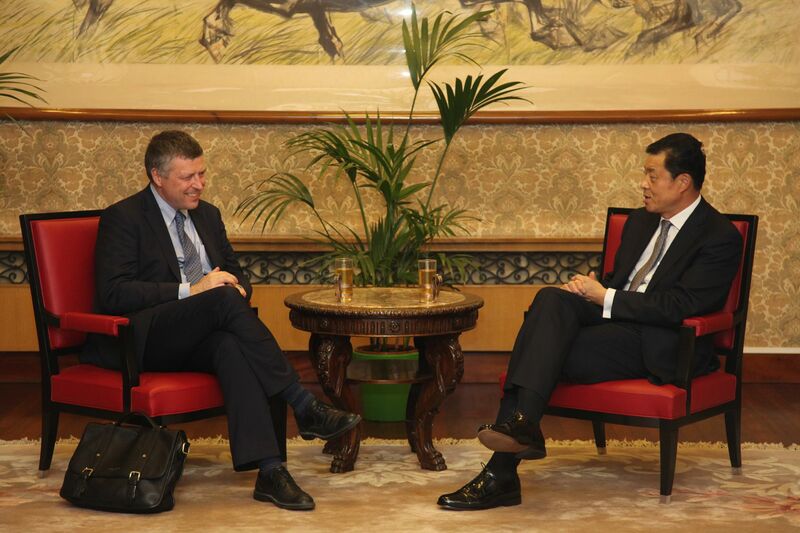 Sir Ciarán Devane said the British Council attaches great importance to cooperation and exchanges with China. As the new CEO and coordinator of China-UK High-Level People-to-People Dialogue, he and British Council are ready to further boost communication and coordination with the Chinese side for more productive bilateral exchanges and cooperation.